I recorded one of my games while playing on the computer using Fraps. However, the file size is big that it takes up lots of space. Is there a good software that I can use to compress the file? I appreciate any help you give to me. Fraps is an application that is used for capturing screenshots, as well as recording games on computer. There is a free version and a paid one. The free version is only limited to 30 seconds per recording and with watermark. Screenshots can only be saved in bmp format. Game videos on the other hand are automatically saved to AVI. AVI has bigger size than other video formats, which is the reason why the video you recorded is taking huge amount of memory on your computer. Furthermore, not all media players and devices support this format. So if you want to play it on another device or share it with others, you still need to have it converted. One of the formats that you can use for the conversion is H.264. H.264 is the new standard for compressing videos with more advanced compression methods. By compressing Fraps videos to this format, the size will be smaller without sacrificing the quality. This means that the videos will take up less space, they will be easier to share and they will still have high quality audio and video as the original files. An excellent program that you can use for the conversion is Video Converter Studio. This program is an easy to use converter. It has a simple interface with basic buttons that would instantly tell you what to do. To convert a video, click on the ADD button, select the format of the output next to profile and click the Convert button. To convert to H.264 format, click on mp4 and you will be given different choices on the resolution of the video for the H.264 format. Conversion is fast so you can have the converted file within a few seconds or minutes in just three easy steps. This is a perfect tool for everyone even for those who do not have experience on how to compress fraps video. If you wish to edit a video before converting it, this is also possible with this program. After adding the video, click on Video Edit for editing the video then convert once ready. 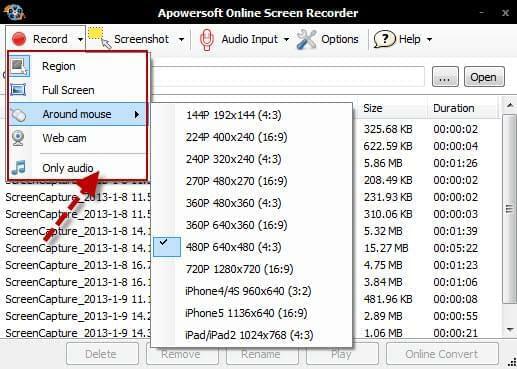 To avoid recording video as AVI, another convenient way to record your game on the computer is by using Apowersoft Free Online Screen Recorder. All you need is your web browser and Internet connection and you can start recording. It does not require any installation and it’s available for free. On the given page, click the Start Recording button and another window will show up containing your recording options. Choose if you want to record the audio of your system, using your microphone or both. Click Record and select if you wish to record the selected region, full screen or around the mouse. Click the Start button once ready in recording your game. You have the option to pause and resume the recording. Once done, you can click on Stop. Videos are automatically saved to WMV format. WMV is another video format that is small in size so you can save on your memory. Plus, it will be easier to stream or share the saved videos. If you have fraps video, you can compress them in H.264 format to make the size smaller without changing the quality using Video Converter Studio. If you do not want to undertake the process of Fraps video compression, you can record the game using Apowersoft Free Online Video Recorder. 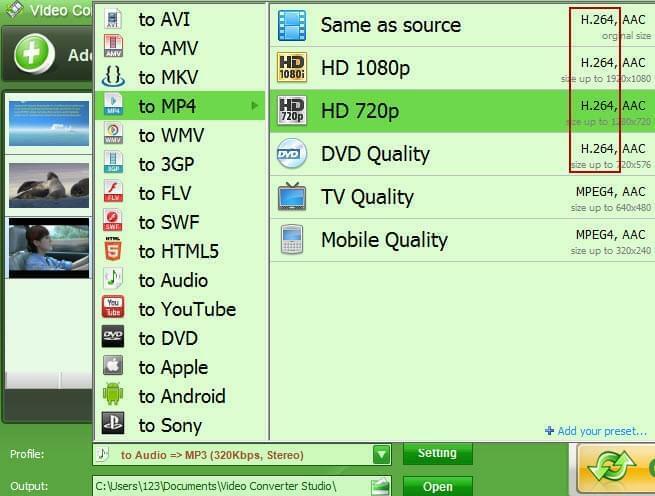 It automatically saves your videos to WMV, which also makes the file size smaller without affecting the quality.